Fargo Season 3 premiere date on DateRelease.TV. New series, trailers and spoilers. Fargo is a black comedy-drama crime series created and released in the USA. The release was carried out by FX channel with the first season release date on the 15th of April 2014. The creator of the original idea is Noah Hawley. 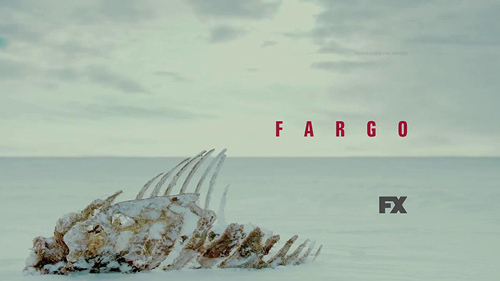 Fargo is inspired by the film with the same title released in 1996. The directors of it were the Coen brothers both serving as executive producers for Hawley’s Fargo series. The series is an anthology, where each season presented by the different cast is set in different time and circumstances. However, the stories are somehow connected with each other. Fargo season 3 release date hasn’t been announced yet, but the show certainly has chances for a successful future. Season 1. The action is set in 2006. Lorne Malvo (portrayed by Billy Bob Thornton) becomes a very important person for people of Bemidji, situated in Minnesota. He influences the local society all together with an insurance sales representative named Lester Nygaard (portrayed by Martin Freeman). Their violence, selfishness, and deception seem to provoke a number of criminal cases in the area. It makes Molly Solverson (portrayed by Allison Tolman) and Gus Grimly (portrayed by Colin Hanks), the police officers, get together in order to find clues to a number of murders happening in the city. They believe that Malvo and Nygaard are the only ones to be blamed for that, but they have no idea how to prove it struggling for it in every new episode. Season 2. The action is set in Minnesota of 1979. One of the main characters here is a beautician named Peggy Blumquist (portrayed by Kirsten Dunst). She lives together with her husband named Ed Blumquist (portrayed by Jesse Plemons), the butcher. One day they murder Rye Gerhardt (portrayed by Kieran Culkin), originating from a well-known family in Fargo, situated in North Dacota. 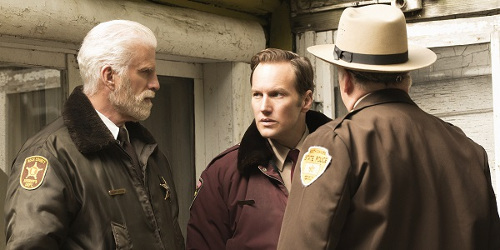 Lou Solverson, the State Trooper (portrayed by Patrick Wilson), and Hank Larsson, his father-in-law and the local Sheriff (portrayed by Ted Danson), start an investigation into a homicide relating to Rye himself. The creator of the series, Noah Hawley says that they’re planning to release the third season of Fargo in spring of the upcoming year. The show is planned to be filmed for at least three more years with several characters returned for the stories of the upcoming seasons. The scriptwriters will make connections between the plotlines of the released and future seasons of Fargo. The castings for season 3 are being held at present. Be patient. The producers are sure that Fargo deserves to be revived in spring of 2017, but they share no certain plans for the date yet. We will let you know when they finally decide to give the third installment a go. The producers hint that they’re planning to continue working on the series till 2010, isn’t it promising news? We will let you know more when the castings are over.